I had this old esp-01 standing on my desk for a while and decided to dust it out by flashing Espeasy firmware. About this esp8266, see previous articles here. Note that if you are not sure which esp8266 you model you have, check it out here. 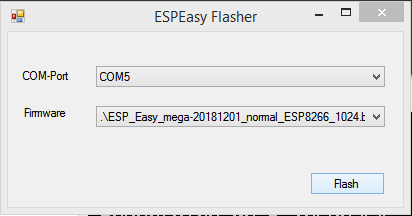 It is as simple as put your firmware next to flashesp8266.exe (in my case firmware is ESPEasy_mega-20180102_normal_ESP8266_1024.bin) and execute ESPEasy Flasher. 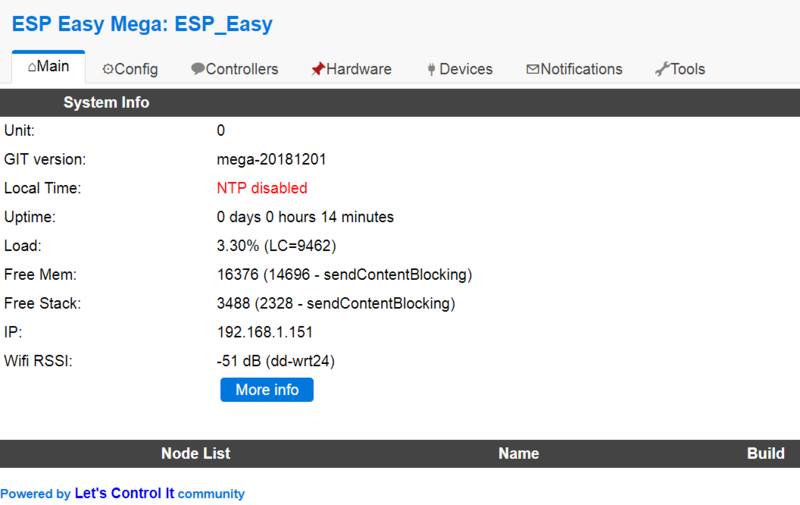 Once flash is completed, set gpio0 free (but leave ch_pd high), power off/on and you should see a new ssid on your network called esp_easy_0 (password=configesp). configure it i.e connect it to your wireless network and you are done.